I love love love this autumn goddess with her birds! 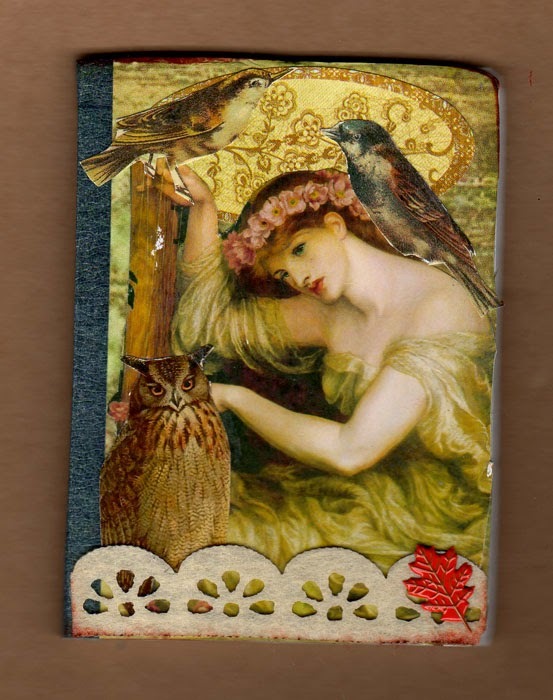 This is an altered, repurposed 3x4 composition book by Michele Storms of the Design Team. Isn't this gorgeous? Scroll through my previous posts to see more creative and beautiful inspiration from the DT. And check out my current challenge theme PUT A BIRD ON IT to see the gallery of lovely entries so far and enter your own creation for a chance to win!